Here are my overall rankings as seen in the latest NTRA Top 10 Poll. The poll ranks the top thoroughbred horses based on if Horse of the Year voting was conducted at this very moment. To me, Justify still has the top spot, with Accelerate nipping at heels going into the Breeders’ Cup. This week, my ballot remained the same as last week, with all the big horses preparing for the Breeders’ Cup. 1. Accelerate – All he does is continue to win. 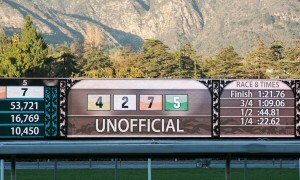 The Grade 1 Awesome Again Stakes at Santa Anita was his latest triumph. The Breeders’ Cup Classic is up next. 2. Catalina Cruiser – There may be no stopping this horse now after he once again dominated his rivals in the Grade 2 Pat O’Brien Stakes. He is quickly becoming the most impressive horse in the country. 3. Mind Your Biscuits – He is now officially in the two-turn division, and not the sprint, after his win in the Grade 3 Lukas Classic at Churchill Downs. That win should springboard him to a try in the Breeders’ Cup Classic. 5. Yoshida – His dirt debut was a successful one as he powered home to win the Grade 1 Woodward Stakes. It looks as though he will now be pointed towards the Breeders’ Cup Classic. Sleeper: West Coast – The Grade 1 Awesome Again Stakes was a nice return race for him off of a long layoff and could set him up well for a run in the Breeders’ Cup Classic. 1. Abel Tasman – The Grade 1 Zenyatta Stakes was a total non-effort for a horse that is still a clear standout in this division. However, she has come back since with a strong workout. 2. Elate – An injury has her Breeders’ Cup status up in the air, which could leave this division wide-open if the top two horses fail to show up. 3. Blue Prize – She has quietly had a tremendous year. If she can win the Breeders’ Cup Distaff, then she will move to number one in the rankings. 4. Sistercharlie – She has now won three Grade 1 turf races this year and seems to be getting better with every race. Sleeper: Vale Dori – It took a while, with several poor efforts leading up to her first win of year, but she finally returned to form with a nice win in the Grade 1 Zenyatta Stakes. She’s back in the game. 2. Catholic Boy – Make it three Grade 1 wins in a row for this guy, who is quickly becoming a beast. His transfer from turf to dirt to win the Travers Stakes was simply amazing. The Breeders’ Cup Classic is next. 4. 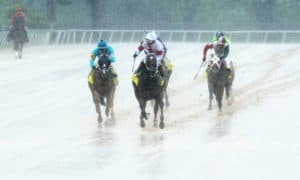 McKinzie – Baffert’s “other” big horse is back and might be better than ever after a solid victory in the Grade 1 Pennsylvania Derby. He has earned his shot at the Breeders’ Cup Classic. 5. 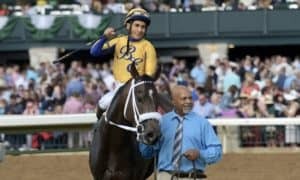 Audible – After solid victories in the Grade 2 Holy Bull Stakes and the Grade 1 Florida Derby, he backed things up with a third-place finish in the Kentucky Derby. 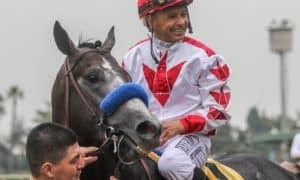 However, he was away from the track until mid-September, and his connections have said that the Grade 1 Pegasus World Cup is his main target, so expect him to return near the end of 2018. Sleeper: Axelrod – His Grade 1 Pennsylvania Derby runner-up finish showed that he can hang with the big horses in the division. He is rising quickly. 1. Monomoy Girl – Her disqualification in the Grade 1 Cotillion Stakes was a tough way to lose her first race of the season. Still, she leads this division by a wide margin and is aiming for the Breeders’ Cup Distaff. 2. 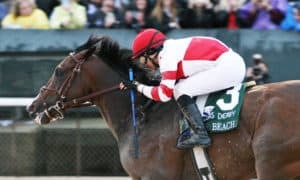 Dream Tree – She has always been the second-best horse in this division, but an injury forced her to miss all of the important spring and summer races. She is back now, though, and could have a big say in things the rest of the year after her dominating Grade 1 Prioress Stakes win. Her connections are leaning toward running her in the Filly & Mare Sprint. 3. 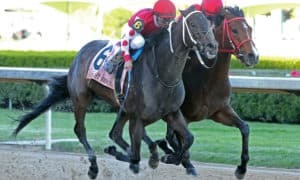 Midnight Bisou – Even though she didn’t actually finish in front, she was placed first in the Grade 1 Cotillion Stakes after Monomoy Girl’s disqualification, which was the biggest win of her career. The Breeders’ Cup Distaff is likely next. 4. Wonder Gadot – There is no disgrace in finishing third to Monomoy Girl and Midnight Bisou, but she was not competitive with those two in the Grade 1 Cotillion Stakes. 1. 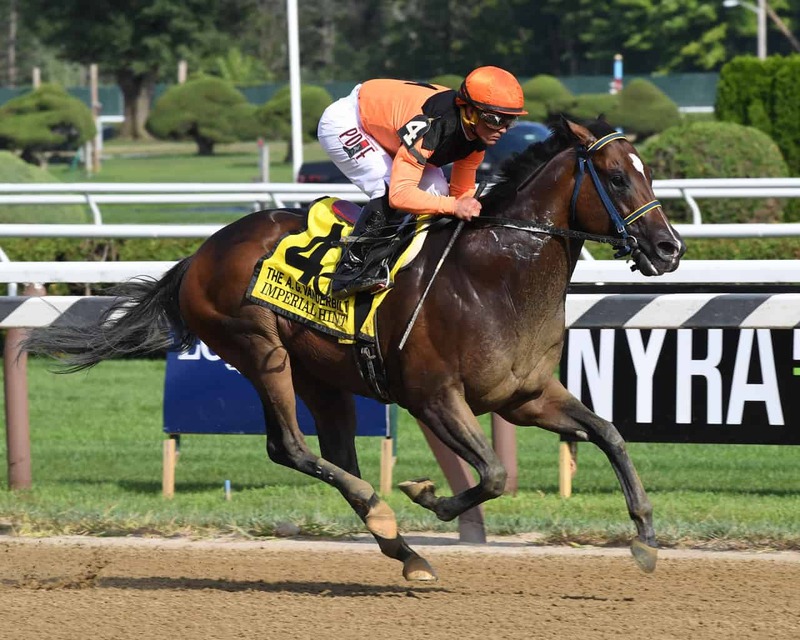 Imperial Hint – His Grade 1 Vosburgh Stakes effort was flawless and he picked up another big win that served as a perfect prep for the Breeders’ Cup Sprint. 2. Roy H – The champ is back! 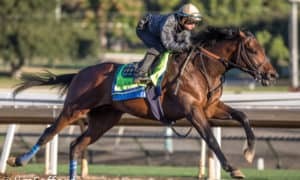 He showed that he is ready for a major effort in the Breeders’ Cup Sprint with a big win in the Grade 1 Santa Anita Sprint Championship. 3. Promises Fulfilled – This 3-year-old is a total beast when running in sprint races. He showed a ton of heart in his Grade 2 Phoenix Stakes triumph. 4. X Y Jet – The 6-year-old gelding just keeps winning and will always be the horse that they have to catch up front. His Grade 3 Smile Sprint Stakes victory at Gulfstream Park was an easy return as he prepares for the Breeders’ Cup Sprint. 5. Whitmore – This is horse has been so consistent all year long. He was solid once again as a runner-up in the Grade 2 Phoenix Stakes. Sleeper: City of Light – I’ve moved him to this division, but there are talks that he could stretch out again. Either way, don’t hold the Grade 1 Forego Stakes against him because of an awful trip. 1. Game Winner – This is trainer Bob Baffert’s latest star after impressive back-to-back Grade 1 victories. 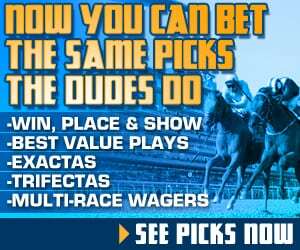 The latest came around two turns in the American Pharoah Stakes at Santa Anita. 2. 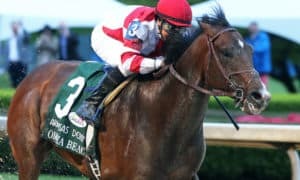 Complexity – He proved that he has to be taken seriously after running fast early and late in a dominating Grade 1 Champagne Stakes win. 3. Instagrand – Based on talent, he might be the best horse in the division, but his lack of racing will see him fall down the rankings. 4. Mind Control – This horse now has two victories in a row after outlasting his rivals to take home the Grade 1 Hopeful Stakes at Saratoga. 5. Knicks Go – When you pull off an amazing 70-1 upset you get to be ranked. Not only that, but he ran away from the competition in the Grade 1 Breeders’ Futurity. 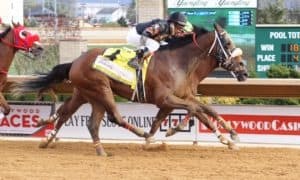 Sleeper: Cairo Cat – It was a big win for him in the Grade 3 Iroquois Stakes, which was the first Kentucky Derby prep race of the season. He looked solid around two turns. 1. Bellafina – Her romp in the Grade 1 Chandelier Stakes was the latest example of her being the best horse in this division by a wide margin. 2. Newspaperofrecord – WOW! Her win in the Grade 2 Miss Grillo Stakes was one of the best turf performances by a juvenile that you will ever see. 3. Serengeti Empress – Win by 20 lengths in the Grade 2 Pocahontas Stakes and fall all the way to third? That’s how impressive the top two horses were in their last starts. 4. Jaywalk – This is a completely loaded division. Jaywalk could easily be ranked first after her win in the Grade 1 Frizette Stakes, and she still may end up there by the time it’s all over. 5. 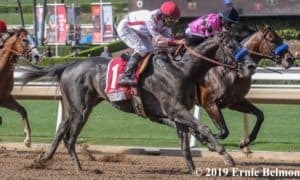 Restless Rider – Much like Jaywalk, Restless Rider probably deserves to be ranked higher after an impressive win in the Grade 1 Darley Alcibiades. Sleeper: Sippican Harbor – She closed from the clouds to win the Grade 1 Spinaway Stakes at Saratoga, giving her two nice victories is a row.